Depending on where you look, recommended blood glucose levels can vary. The American Diabetes Association (ADA) numbers differ from the American College of Endocrinology (ACE) guidelines. The ACE recommendations happen to be a bit more strict than the ADA's. If you are someone with diabetes, how do you know which to follow? After taking all of these factors into consideration, your doctor will be able to determine what blood glucose targets are best for you. For example, if you are considered to be a healthy, younger individual with diabetes, your blood sugar targets will likely be set to reflect tighter or more rigid blood sugar control. Elderly people with type 2 diabetes may not need to have blood sugar targets so strict because they are at increased risk of having low blood sugars or because they have other health related issues. Women with gestational diabetes have blood sugar targets that are lower than non pregnant people with diabetes to protect the unborn fetus and children with type 1 diabetes have blood sugar targets that are less stringent, especially if they experience episodes of hypoglycemia unawareness. The table below compares the general recommendations of the two sets of guidelines for both blood glucose pre and post meals as well as hemoglobin A1C (three month average of blood sugar). The following charts are recommended blood sugar targets determined by the ADA for children, someone with gestational diabetes, as well as the elderly. A Good Way to Determine Your Blood Sugar Levels Is Self Blood Glucose Monitoring (SBGM)? Checking your blood glucose levels throughout the day will help you to figure out how to keep your blood sugar in good control. Your numbers can help you pattern manage and learn how to identify how food, exercise, stress, and illness, to name a few, affects your blood sugar control. First thing in the morning (when you are fasting for at least 8 hours) before breakfast, two hours after a meal and before bed are good times to test. Other recommended times include before, during, and after an exercise session, especially if it is strenuous or if you are feeling like your blood sugar may be low or high. Your certified diabetes educator or health care provider will help you develop a routine that makes sense for you. 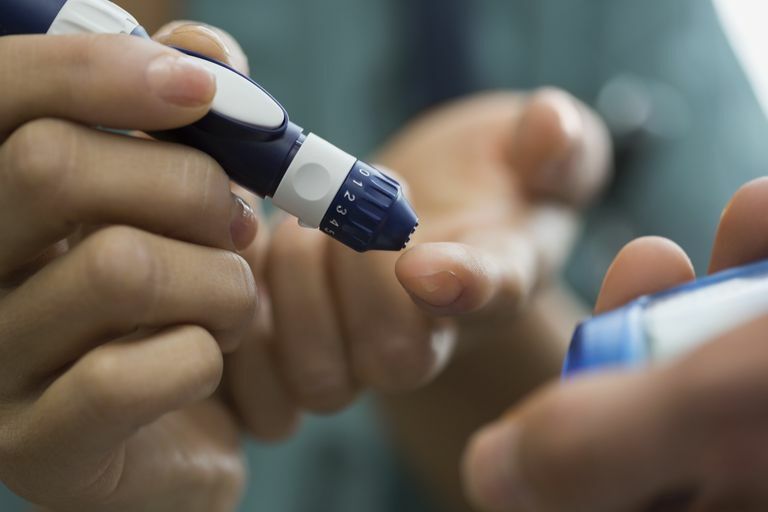 Typically, people who take insulin or are on other glucose lowering oral medicines that can cause hypoglycemia (low blood sugar), or those with poor glucose control, should test their blood sugar more often. Another Measurement of Blood Sugar — What Is the A1C? American Diabetes Association. All About Blood Glucose. American Diabetes Association. Standards in Diabetes Care 2017 Jan; 40 (Supplement 1). S3-S130. American Association of Clinical Endocrinologists and the American College of Endocrinology. Consensus Statement by the American Association of Clinical Endocrinologists and American College of Endocrinology on the Comprehensive Type 2 Diabetes Management Algorith-2017 Executive Summary.